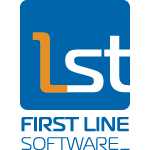 First Line Software is a premiere provider of custom software development and technology enablement services, with a focus on data management, cloud computing, online media, and enterprise content management. First Line provides recognized expert services to industry leaders and growth technology companies in North America, Europe and Asia. Headquartered in the US, First Line operates multiple software development centers in Russia and employs 300 staff globally. First Line’s culture is grounded in subject matter expertise, technical excellence, and proven methodologies, with a strong focus on Agile. First Line has been recognized as a Rising Star in the global ranking of top 100 outsourcing providers by International Association of Outsourcing Professionals® (IAOP®). RUSSOFT Association is a Nation wide Association of the most technically competent software developing companies from Russia. The head-quarters is located in Saint-Petersburg. In 2018 RUSSOFT unites more than 130 companies with 45000+ of highly qualified software engineers with advanced graduate level degrees in Technology & Computer Science. RUSSOFT Association is the voice of the industry and an active lobbyist in the Russian Government, struggling for better taxation, stronger educational systems and for attracting State support for the international marketing. CUSTIS – custom development and careful implementation of large-scale accounting and analytical information systems for companies with original management processes or with a high dynamics of process change. http://0x1.tv – IT-conferences media library. 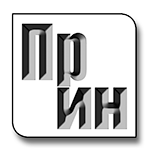 The largest catalog of Russian-language reports on different IT-topics. Programming and testing, usability/UX and business analysis, product and project management, tricks of system administration and non-trivial algorithms, open-source libraries, frameworks, programs and even operating systems.